It’s not only about choosing a better physician. It’s about choosing a better life. Our Preventive Medicine Physicians are leading experts in the field of preventive medicine and health care. The team behind the exclusive Elitra executive health exam are featured below. Dr. Avram Nemetz is a renowned physician and pioneer in preventative medicine caring for tens of thousands of patients over his heralded career, and has been an integral member of Affiliated Physicians (parent company of Elitra Health) since joining their staff in 1991. Dr. Nemetz championed the early development of this multifaceted medical organization that has provided quality physical exams, urgent care, occupational medical services, mass vaccine programs, drug testing, and unique medical services tailored for individual patient and company needs. When the original Affiliated Physicians office at 5 World Trade Center was destroyed in the 9/11 attack, Dr. Nemetz helped his members heal, rebuild, and from 2001 to 2016 relocate and continue practicing medicine in Midtown Manhattan. Today, Dr. Nemetz and the Affiliated Physicians team are proud to return home to New York’s financial district near 1 World Trade Center, the Freedom Tower with the opening of Elitra Health. Dr. Nemetz graduated from Cornell University, and earned his Medical Doctorate degree from the Albert Einstein College of Medicine. 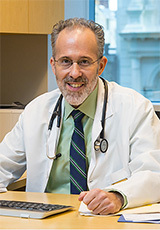 Dr. Nemetz completed his residency in Internal Medicine at the Bronx Municipal Hospital Center (now Jacobi Medical Center), and prior to joining Affiliated Physicians was an emergency physician at St. Vincent’s Hospital. He is board certified in Internal Medicine. Dr. Richard Hernandez has specialized in preventative exams, cardiac health and lifestyle medicine for the last 15+ years. A graduate of New York University and New Jersey Medical School where he received his Medical Doctorate degree. 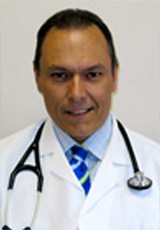 Prior to joining Affiliated Physicians (parent company of Elitra Health) in 2002, Dr. Hernandez was as an emergency room physician at Lenox Hill Hospital where he was responsible for the implementation of standards-of-care protocols, held several teaching appointments, and was responsible for training medical students, multi-specialty residents and fellows. Dr. Hernandez has been an Associate Clinical Professor at New York Medical College and at New York University Medical School. He is board certified in Internal Medicine. Dr. Sacajiu graduated from New York University’s College of Arts and Sciences, and then continued at the NYU School of Medicine. 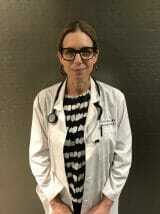 She completed an Internal Medicine Residency at NYU/Bellevue Hospital and Preventative Medicine training at the NYC Department of Health and the Columbia School of Public Health, where she also earned a Master’s in Public Health. After completing her training, she worked as a faculty member at Montefiore Medical Center (MMC) and Albert Einstein College of Medicine (AECOM), where she served as the associate director of the Social Medicine and Primary Care Residency programs. Her time at MMC was allocated to teaching, social epidemiology research and clinical medicine. Among other responsibilities, she was the director of the residency research curriculum and was the founder and director of a Research Based Health Activism course. With the intention to work in the field of international health, she changed her academic status to an adjunct after ten years as faculty at MMC/AECOM. Since April 2010 she has been involved with the Haiti Medical Education (HME) Project – a not for profit that provides medical education to clinicians in Haiti. (For additional information visit: http://hmeproject.org) In January 2013 Dr. Sacajiu accepted a position at ARC of Rockland NY, where she served as the Medical Director of ARC Health Resources. Dr. Sacajiu has presented at numerous national and international meetings, published multiple original articles in peer reviewed journals and has been invited as a book-reviewer by leading academic publishers. Dr. Sacajiu joined Elitra Health in July of 2018 and where she practices evident based preventative approach to health and wellbeing.